Join a community of shooters to learn, grow and most importantly have fun. Watch what it’s like to shoot an IDPA match. IDPA HQ will be closed on Friday and will resume regular hours on Monday, April 22. Matches are held virtually every weekend of the year. Many ranges will also hold matches during the week. Browse matches and find one near you. Not sure if competitive shooting is right for you? Find a local match and experience it for yourself. Use the search to find a local classifier. Find local matches or classifiers. Curious about the match rules, scoring, and what you need to do before shooting a match? When I first starting shooting IDPA 3 years ago, I had no idea I would forge lifelong friendships and learn from the best shooters in the world. It has been an emotional ride filled with character building moments. I owe all of my success to everyone I've met on the range. I look forward to many more years of competition and fellowship. I never dreamed I would be competitive in anything, much less a shooting sport. When I became licensed to carry, my husband John, insisted that I train before I started actually carrying a firearm. I found a female instructor to work with me and once I started hitting bullseye, I was hooked and wanted more. I quickly became bored just standing shooting at a target. John took me to my first IDPA match and I fell in love. John, my son Ashton, and I all started shooting IDPA together as a family. The things I love most about IDPA are: it's a sport I can shoot with my family, all the wonderful people I have met while shooting IDPA, and the confidence it has given me. This year I was bumped to Expert so now it's a race with my husband on who will be the next Master, since Ashton has already beat us both! I joined IDPA in 2014 with one goal in mind: Feel more confident when I carry a concealed weapon. After spending 22.5 years in the Navy and two combat deployments I felt I was ok with a pistol, but quickly found out I had so much more to learn. What started out as a loose hobby for me has turned into a passion. I quickly volunteered at two local clubs, and I am now the Assistant Match Director at both clubs and a qualified CSO. I've now competed in matches in 15 different states and made life long friends along the way. IDPA has allowed me to travel to new places and meet new people, talking about shooting sports and promoting 2nd Amendment rights along the way. I think the thing I enjoy most about shooting IDPA is the people I've met. I've made some new friends, and reconnected with some old friends that I had no idea were shooting sports enthusiasts. Practically everyone I've met has been willing to help me along the way, regardless of whether I'm shooting my local match, or shooting a Major with 250 other people. Even the people that I'm trying to "beat" will sit at the back of the bay and compare notes about how best to shoot a stage. I enjoy shooting IDPA because it's a unique opportunity to build skills under pressure. IDPA has also helped me to really find the right pistols for myself for both carry and competition, instead of just going with what I thought I liked in the store. It's made me a more skilled and confident shooter, and along the way I've made some amazing friends. I was originally drawn to IDPA at an affiliated club in my area. I was always interested in the skill of SAFE high speed pistol shooting and gun handling. As an athlete, my traditional sports faded away and IDPA filled my competitive urge along with feeding my long time interest in action shooting. After many years of competing, I have found other benefits of IDPA. I use the sport to introduce others to competitive handgun shooting. With the rapidly increasing numbers of responsible Americans purchasing handguns for protection, most remain casual gun owners/shooters. 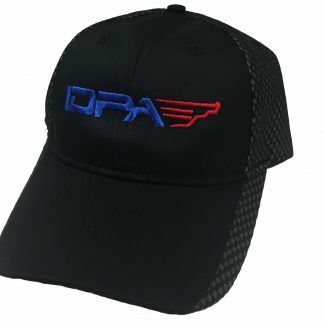 IDPA is an easy pathway to graduate from a casual shooter into a more proficient and safer gun owner. Plus, everyone finds it a lot more fun than static target shooting. A purchase of a handgun provides virtually all equipment needed to shoot a match, so it's easy to get started. 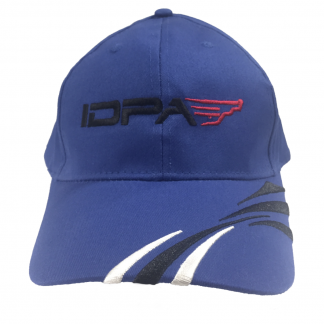 IDPA flourishes at the local club level and I utilize the general stress free environment of IDPA club matches to introduce casual gun owners to the world of competitive action shooting. Many get hooked, and in the process, we have more responsible, skilled, and safer gun owners. Finally, I have made many solid friendships around the US and globally through my travels competing in IDPA. 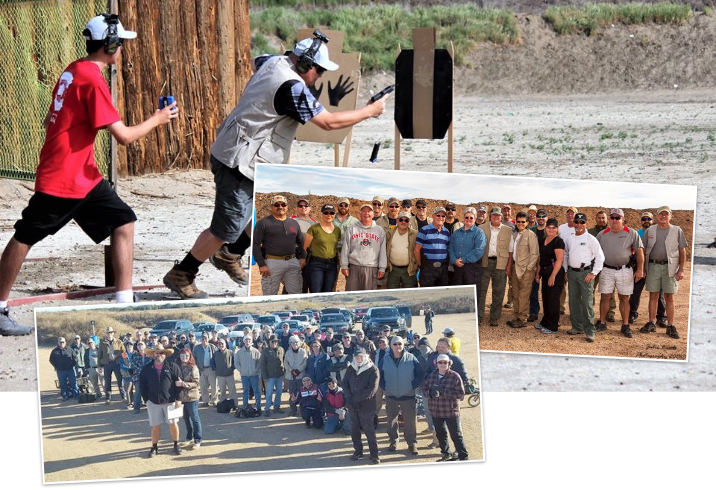 Local IDPA affiliated clubs are the backbone of the sport. These clubs reach over 25,000 members. Competitors come from the United States and over 70 Foreign countries to compete in matches. Join the comradery of like- minded shooters all over the world. Join a community of shooters to learn, grow and most importantly have fun. Compete with friends, and make new ones through your local club. Learn more about IDPA membership. 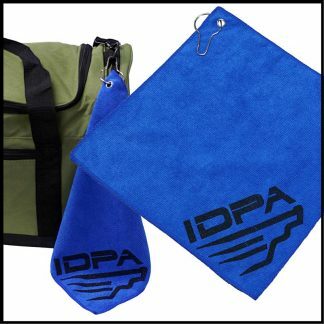 IDPA offers a range of benefits to local clubs. We provide you with a platform to help manage events and members. View our club benefits page to learn more about what you get with IDPA. An updated version of the Match Director/Chief Safety Officer Handbook has been published. IDPA MD-CSO Handbook V.2019.2 will appear on the Downloads section of every member's Dashboard. Want to shoot in a PCC/CO only match? Click HERE for more information on how to get register! As IDPA has continued to add divisions based on member requests, we recognized the need to simplify our Classification rules for the benefit of our Area Coordinators, International Points of Contact, Match Directors and members. You, our members, have told us that Universal classification has put many shooters at a disadvantage by forcing them to shoot in a higher class than their skill level warrants. Effective Jan. 1, 2020, Universal classifications will be removed from all member records. After that time, a member who has not obtained the classification of Master or Distinguished Master in that specific division who cares to compete in a sanctioned match, will be required to have shot a classifier during the previous 12-month timeframe. This information must be in their official profile online, for the same division they are competing in before being eligible to shoot the match. As of 1/1/2020, members must have a classifier or match bump based classification in the division in which they wish to shoot in order to compete in a sanctioned event. Between now and Jan. 1, 2020, the Universal Classification system will continue to be used. Members are encouraged to shoot classifiers in the divisions they will compete in during 2020. Equity promotion rules will remain in effect. That is, when a shooter shoots a classifier at a level, then other divisions can be at most one level lower. Match bumps will still only affect that single division. If a shooter is an Expert in SSP, he will be considered at least a Sharpshooter in all other semi-auto divisions, including CO. REV, BUG and PCC do not use equity promotions. In order to compete in sanctioned matches, the shooter must have a current classification in the division in which he is shooting. With this announcement and effective immediately, like BUG division, PCC will be official but as an optional division. While no longer provisional, PCC is not a required division and may be offered at the discretion of the Match Director. Our newest division, Carry Optics (CO) is required to be offered at all matches just like the other semi-auto divisions. Also effective immediately, equity promotions will affect and be affected by Carry Optics (CO). Additionally, the Classification rules will be moved from the IDPA Rulebook to the Match Administration Guide. Printed rulebooks from Headquarters will include a notation that Section 9 has been superseded by the updates in the Match Administration Guide on the IDPA website. The current Rulebook, Match Administration Guide and classification brackets can be found on the website at www.idpa.com. These changes will allow our shooters to compete at the appropriate level and enjoy a rulebook that is simplified and easier to understand. If you have questions about these changes, please contact your Area Coordinator or your International Point of Contact. 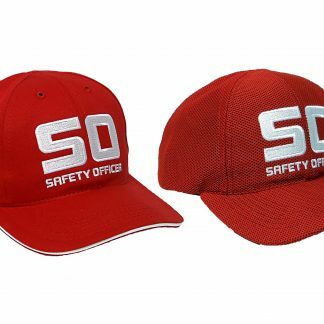 IDPA has noticed that there are a large number of Safety Officers (SOs) who need to recertify for the upcoming match season. In an effort to streamline the process and to save our SOs’ valuable time in recertifying, the Continuing Education Team has developed a revamped a 20-question recertification test. This has been shortened from the 35-question test that has been used in the past. Our estimate is that the test will take a skilled SO about 30-45 minutes to complete. Passing score will remain at 80%. Additionally, the following month we will roll out a long-format exam for SOs whose SO status is expired less than a year but has been expired for more than 90-days, which is past the grace period for standard recert. This is going to be a 40-50 question test that will allow these expired SOs to recapture their SO status without sitting for an instructor-led class. This frees up our Safety Officer Instructors (SOI) who are ready and waiting for the influx of new SO candidates that we have been experiencing. The short test will be available Tuesday, April 2nd and the long-format test will be rolled out Monday, May 6th. Links will be published on the IDPA recertification page which can be found on your Dashboard at www.idpa.com. IDPA HQ will have limited staff this week (Jan. 21-Jan. 25) as we travel to SHOT Show. The best way to contact us will be to use the Contact Us form located here. If you are going to SHOT Show we hope you have safe travels and we will see you there! IDPA HQ has had multiple questions regarding match points for the IDPA PCC US National Championship and the 2019 IDPA World Championship. We are not requiring different sets of points for the 2019 PCC National Championship and the 2019 World Championship. Points are calculated from May 31, 2018 to May 31, 2019. If a match starts on May 31, 2019 and ends June 1, 2019, you will still receive the points for that match. The points that you earn for shooting at a sanctioned match apply to all divisions. You do not have to finish the match in order to receive the credit for your match points. If you show up, you receive the points for that Tier. We are looking forward to seeing you Oct. 22-26, 2019 at CMP Talladega Marksmanship Park! IDPA HQ will be closed on the following days so that our employees may spend time celebrating with their families. We hope everyone has very safe and happy holidays! The Winter issue of the Tactical Journal is on the site! In case you haven't seen it, the 2018 Winter issue of the Tactical Journal is now live on the website! You can view it along with past additions of the Tactical Journal here. New gear in the Proshop! Take some time to browse all the great new gear we have in stock just in time for Christmas! Click here to visit the shop! The 2019 IDPA World Championship has been scheduled for Oct. 23-26, 2019. This third World Championship will be held at the Civilian Marksmanship Program Range in Talladega, Alabama, USA. "I am very excited about this event," Executive Director Joyce Wilson said. "For the first time we will be including all of the IDPA divisions in one week, by including Carry Optics into the World Championship and hosting a separate National level match for PCC." 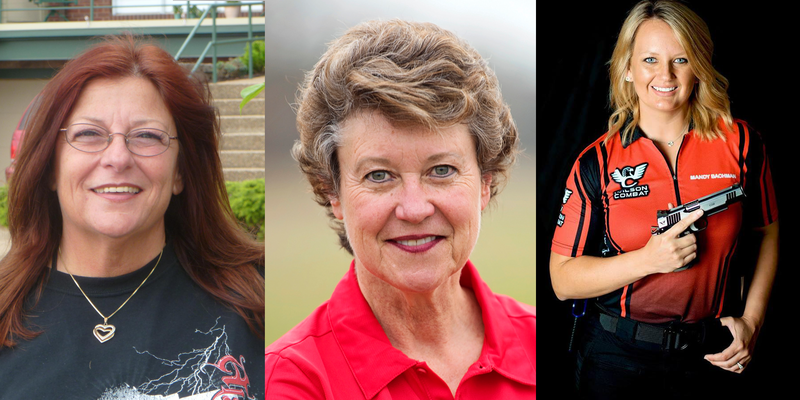 Match Director Rick Lund, along with Assistant Match Directors Brian Ehrler and Dede and Nicky Carter, will host the Pistol Caliber Carbine Nationals Oct. 22 so that competitors may elect to shoot both PCC and pistol divisions. Watch the IDPA website, the official IDPA Facebook page, and the Tactical Brief for more information. IDPA Headquarters will be closed Thursday, November 22 and Friday, November 23, 2018 for Thanksgiving. We will re-open Monday, November 26 at 9am CST. We would like to wish everyone a safe and healthy holiday. We are thankful for all of you. This week, IDPA will be releasing an updated version of Appendix C for Carry Optics for immediate use by our membership. This new release adopts the classifier brackets found for Enhanced Service Pistol as the brackets for Carry Optics. By finalizing the classifiers for this division, it becomes easier for clubs to recognize this growing division for their matches at every level of our sport. Carry Optics has become a popular division for many of our members and we are responding to this enthusiasm by finalizing the outstanding issues found in the provisional rules. We are also going to recognize Carry Optics at next year’s World Championship match being held again in Talladega the week of October 21st through the 26th. Classifier scores will be accepted into the system. Members are encouraged to contact their Area Coordinator if they have any questions concerning this change. We hope you will enjoy the changes. See you at the range. The IDPA office will close Friday, Oct. 26 and will reopen Monday, Nov. 5 so that we can move to our new headquarters in Texas. Our former headquarters located in Berryville, AR, will be closing effective today, 10/26/2018. The decision to move was made to better serve the needs of our growing membership which includes increased resources and advanced technology aimed at delivering exceptional value and support to our members. During our office closure please contact your Area Coordinators (ACs) or International Points of Contacts (IPOCs) if you need immediate assistance. As always, they are your first contact for rules questions. If you are unsure who your AC or IPOC is, you can find that information on the IDPA website. Moving an organization is no small feat and we hope you will be patient with us as we settle into our new digs. Growing pains for IDPA is a wonderful problem to have and we thank you for your continued support. Pictures from the 2018 IDPA US National Championship taken by George Sullivan are now located here. Thank you again to our National Staff! We just wanted to once again thank our 2018 IDPA US National Championship staff! We appreciate all of your hard work! Thank you for making the match a success! Although the drill has not changed, it now includes information regarding a concealment garment, target height and scoring to include NV classification. CO Provisional Rules are now posted on the IDPA website. The provisional rules can be viewed at http://members.idpa.com/Content/Rules/a3nozfcz.rcs.pdf.